Finally, you can now use Instagram on your PC without having to use a third party application for the same, as Facebook launches Instagram for Windows 10. This is an update to the app to support the Windows 10 PCs and tablets. 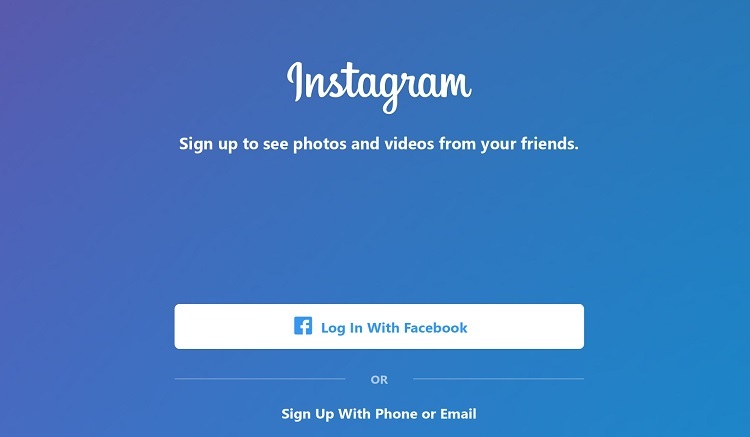 Instagram was earlier made available for the Windows Universal Platform alongside the Facebook and Messenger apps. This made it possible for the developers to work on an app that adapts to the interface and screen size to change itself. The advantage of the WUP is that you will be able to see he same app working on Windows 10 computer, Windows 10 tablet, Windows 10 Mobile smartphone, Xbox One console, etc. No big difference from how it looks on the web platform, the Instagram for Windows 10 PCs and tablets has tabs for Home, Search, Upload, Notifications, and Profile. This is somewhat similar to how it shows up on the Android app of Instagram. Also, you will also be able to see the Instagram Stories listed on the top. What was earlier made as a mobile-only app is slowing growing to adapt itself to the PCs as well, and that is because Facebook has slowly added features that don’t keep it limited to the phones. For brands, uploading pictures captured by smartphone cameras is not what they’d do always, and having an Instagram usage on the PC makes it possible to do that from the computer. The app requires a rear-facing camera and touchscreen to function properly, but then, you can just tap on “Camera Roll” option to open up the entire list of pictures that are detected on the PC, and select the photo you want to upload. And having some limitations is expected anyway as there is hope for improvement in the coming days. Download Instagram for Windows 10 PC & Tablet from Windows Store: Link or directly search in the Store to download it from there.